En stærk klimalov - ja tak! In November 2009 Klima SOS held a public debate meeting in Copenhagen titled "Should Denmark have a Climate Law?" with participation by amongst others six energy or climate spokespeople from Folketinget, the Danish parliament. Professor in Environmental Law, LL.D. Ellen Margrethe Basse, Aarhus University, made a presentation called "How could a Danish climate law look like and what should it contain?" For this occasion professor E M Basse, then chair of Aarhus University's Climate Panel and Head of the Climate Secretariat of Aarhus University had produced an outline for a Danish climate law. This outline was inspired by the British and Scottish climate acts from 2008 and 2009 but drafted in line with the Danish legislative tradition. 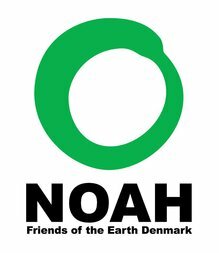 NOAH was permitted to use E M Basse's outline as a starting point for our drafting of a proposal for a Danish climate law. This was then published in 2010. To define 3-years' budget periods within the overall budget. The cumulative budget should be calculated from IPCC's 4. Assessment Report from 2007 and later scientific reports. 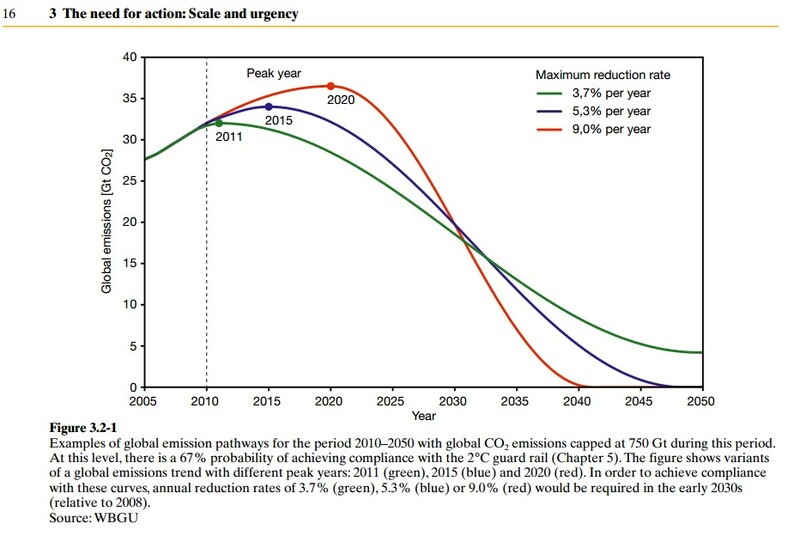 the greenhouse gas reductions should be at least 50% by 2020, at least 90% by 2030 and at least 100% by 2050.
the budget for 2012-2050 should not exceed 650 Mt CO2-eq (CO2-equivalents). B. An obligation for the Government to calculate the cumulative 2012-2050 BUDGET with matching 3-years' budgets ; i.e. the reduction targets is divided so no government can postpone action. 7) TRANSPORT INFRASTRUCTURE and -POLITICS. 11) a permanent advisory body, THE CLIMATE COMMISSION. THE PURPOSE OF A CLIMATE LAW is to drive the emissions of greenhouse gases down year-by-year by way of a budget approach. This was the groundbreaking idea in The Big Ask climate campaign headed by Friends of the Earth from 2005 and which succeeded in the passing of the Climate Change Bill into law on 26 November 2008. The budget approach aims at avoidung that a government will postpone the necessary action from this year till the next or the year after or till after the next election while still adhering to the long-term goals. It is not only the long-term goals that matter, it is the way by which we get there. 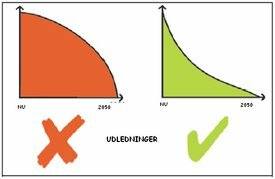 The simple figure above illustrates the difference between two budgets that have a common starting point and even a common goal. The one to the left will reach the goal spending a much larger budget, i.e. a much larger amount of greenhouse gases will reach the atmosphere - which is in fact what matters. The figure below is from a report to the German Government in 2009 from WBGU. (The German Advisory Council on Global Change). It pictures three different reduction pathways with the same budget. 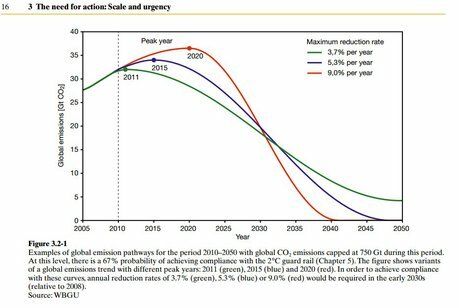 This show that when climate action and consequently the peak of emissions is postponed the consequence is a much steeper reduction pathway where the annual cuts become unfeasible. So the urgency is just too clear if we want to stay within a safe budget, to avoid runaway climate change. This is the main argument for a strong climate law, which means a law with a very tight emissions budget.